Sunday’s broadcast of the 86th Academy Awards was filled with many memorable TV moments, such as John Travolta mispronouncing Idina Menzel’s name, Pharrell wearing his hat and Happy about it, and the show boasting it’s highest rating in 10 years. But the highlight of the evening was Ellen DeGeneres’ celebrity-filled “selfie” that was re-tweeted over 3 million times and broke Twitter for a brief period. It also spawned a plethora of parody images from many other brands. Award shows this year tried to embrace second screen, for example, the Grammy’s and their awkward backstage Twitter Cam but none pulled it off like the Oscars. 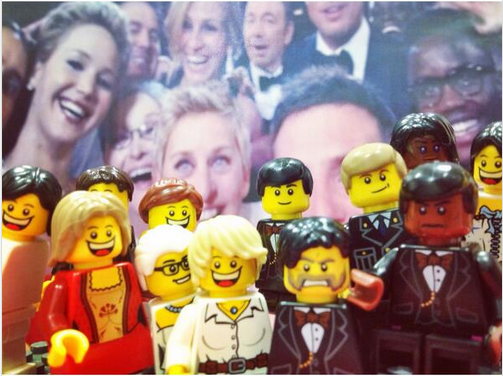 Ellen truly understood how to keep her live audience entertained and how to keep her virtual audience engaged. Twitter reported more than 14.7 million tweets about the show Sunday night alone. 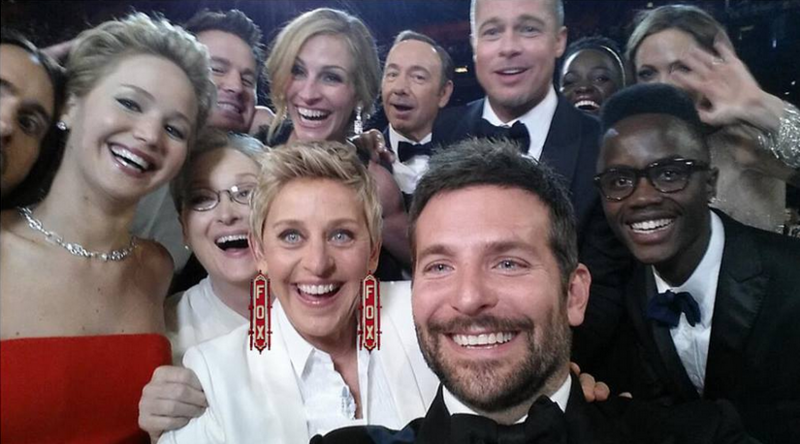 Ellen created tweet worthy moments like ordering pizza for the audience, taking “selfies” with celebrities and even taking time to teach Meryl Streep how to tweet (a personal fav moment). There are a few takeaways from the Oscars, regards merging live entertainment and social (or as I’ve coined it LiEvSoMe) that brands can learn from. Keep it authentic. Sure, Ellen is a trained professional and there were lots of writers who helped come up with jokes etc. but everything about the show felt authentic. Seeing pictures of celebrities eating pizza in their seats, it doesn’t get more real than that. It made that audience relatable to the audience at home. Make it memorable. Create or share something memorable. 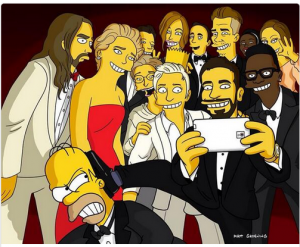 In the case of the Oscars Ellen created and then the world shared the infamous selfie, but that can be done on a smaller scale. The best part about live entertainment is that it’s LIVE. Anything can happen and usually does so use that to your advantage and make a memory for your audience. Give away a secret or two. Audiences LOVE behind the scenes anything! Giving away a little insider info is a great way to engage your audience online. Some of the best images from the Oscars are from the celebs backstage or getting ready before the show. This is the kind content that will keep people coming back for more. No need to give away all your secrets, just enough to peak some intrigue. Sunday’s telecast marked the end of award season. 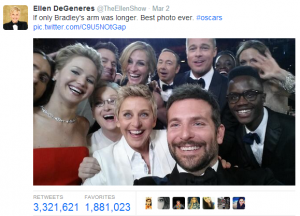 Ellen raised the bar merging a live event with social media in a way that was entertaining and non-commercial. Hosts and writers have a year to prepare as they have some very big shoes to fill. It will be exciting to see what they have in store.